Lea la conversación original entre Sergio Fajardo y Giancarlo Mazzanti,aquí . In recent years, Medellín has become a necessary stop for architects visiting Colombia, and indeed, anywhere in South America. Conferences and events are held to display and promote the city’s new architecture, student excursions are organized around visits to these buildings, magazines are noticing them, and the sites are slowly being converted into symbols for the city, the images that don its postcards. Medellín has become an example of how urban transformation based on good architecture can reshape the mentality of its inhabitants. The mastermind behind the city’s transformation is the mathematician and university professor Sergio Fajardo, who was elected mayor of Medellín in 2003 and served until 2007. He is a presidential candidate in Colombia’s 2010 election. Using a coherent and inclusive urban strategy, he has changed the face of a city that in the ’90s was considered among the most violent in the world. Fajardo has introduced a positive state presence in the poorest and most violent areas by initiating multi-level urban projects, the foundation of which is architecture, most of which originates in public competitions that are open to Colombia’s youngest architects. In the late ’90s, tired of his city’s corruption, Fajardo formed the Grupo Compromiso Ciudadano (Citizens Commitment Movement), which sought to transform the city and create greater opportunities for its citizens. This aim would carry the group to the mayor’s office, where they would undertake one of the best examples in the world of urban transformation, basing their policies on the slogan “Medellín: from fear to hope.” They worked to decrease poverty and violence by creating opportunities for employment and entrepreneurship, all while reducing social inequality through educational policy reform. In this way, they decreased the indexes of violence and insecurity and reduced the isolation of the inner city’s poorest areas through integration-focused architectural projects like parks, libraries, and modernized schools. To be in the new Medellín is to find oneself in the surprising Orquideorama and the sober entryway of the Botanical Garden, the Plaza de la Luz, the Explora Park, the Plaza de los Pies Descalzos, the Moravia Center, and the EPM Library. There are five new libraries, ten new schools, new pedestrian streets, and more than fifty new urban and architectural projects characterized by challenging contemporary architecture. It is not enough simply to do works if they are not done well, something that can be measured by the degree of pride that the city’s inhabitants feel for its new face as well as by the fact that Medellín has become a city to see as opposed to one to avoid. Medellín’s new architecture represents a novel way of making a city out of policy; it also represents a new generation of architects facing the world, concerned with developing discourses and architecture in greater alignment with the present moment. Their architecture works with the places into which it inserts itself, with the culture and historical moment it belongs to. 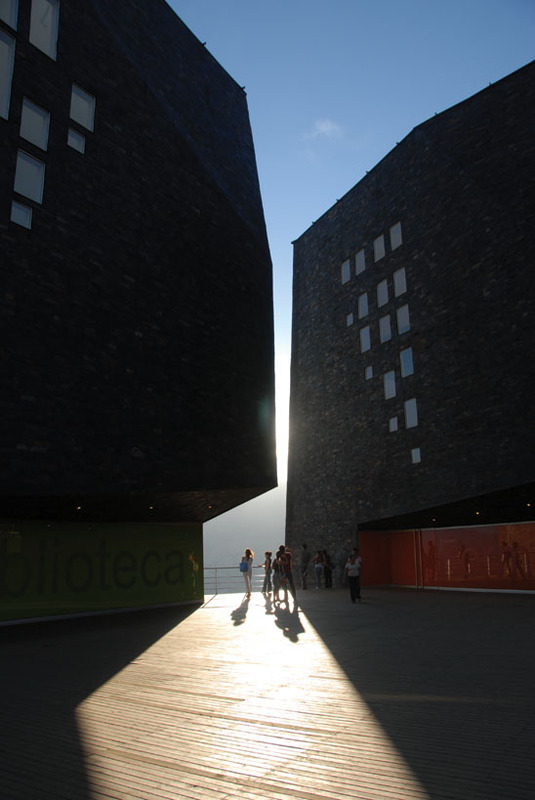 The architects of the new Medellín do not seek to develop a totalizing and solitary discourse. Theirs is an architecture of synthesis, while respectful of differences. These are architectures in which the global and the local are united and crossed, reflecting the pluralism, experimentation, and respect enacted by Mayor Fajardo. Giancarlo Mazzanti Where did the model of the Medellín that has been created in recent years come from? I know it has a lot to do with certain texts you’ve read by Jordi Borja, one of the Spanish urban planners who developed Barcelona in the ’80s. What other approaches are there? GM It seems to me the ones who make decisions are the politicians and professors. To build political power, you have to build educational power, so to speak. It’s very interesting to go from being a professor to constructing a political discourse. Societies are changed through politics and education. SF The shape we’ve taken is no mistake, because I am a professor and will continue to be a professor, and moreover I’m a mathematician, which is a particular way of looking at the world. For me, political work has always had a major pedagogical connotation. People in public power are the first educators of a society. In parentheses, what’s going on here is a process of dis-education; the things taking place on the political stage aren’t part of a pedagogical civic process of construction of citizen civility, but something rather dramatic, and at times pathetic. GM I think that’s one of the functions that all professionals end up having to comply with. My obsession nowadays is how to transform education into architecture in order to create better architects. There is a profound educational crisis, especially in Bogotá where young professionals are not being trained in order to have culturally diverse views. Their formation is not devoid of prejudices against new ways of life and therefore against contemporary architecture. In Medellín architectural discourse is more solid—I’m speaking in terms of architecture because it’s the only way I can think about these things. There is no longer one way to approach architecture; dogma and the notion of an omnipotent creator have become obsolete. SF I like to explain all of this in the following way: I come from a world of privilege. When I finished high school in Medellín, I wanted to study math. I was the only one of all of my friends that wanted to do something of that nature; all the others wanted to be architects, administrators, engineers, doctors, economists, and those kinds of things. I wanted to study math and I came to study here in Bogotá at the Universidad de los Andes, a very good private university. I got my degree and I wanted to keep studying, so I went for a master’s. I wanted to keep moving forward and get to the heights of the academic-scientific world, so I got a doctorate in the US. What does the privilege consist of? I had open doors in front of me. For most people in our society those doors don’t exist. One of my greatest motivations has always been to make those doors not depend on social conditions; to make them not a privilege but a right in a just society. And a personal concern of mine is how to go beyond the plethora of commonplaces associated with education and make education understood in a broader sense. How can we make a type of education that incorporates science, technology, innovation, creation, and culture? How can we make the impetus for that transformation be the construction of human capacity to make a better society? It was clear to us that we were going to have to confront a unique mixture of problems in Colombia: social inequality and deep-rooted violence. How can we diminish violence every day, but also deliver social opportunities with each individual elimination of violence? Many people in our society have a solid wall in front of them: at one end is a door to enter into the world of illegality. Drug trafficking has taken on some extraordinary dimensions, more so in Medellín than anywhere else. Another door leads to informality and homelessness. Our challenge has been to open doors in that sealed wall, doors so that people can pass through and go on participating in the construction of hope. What is hope? When someone in the community sees a path they can follow. If they are living with only a wall in front of them and can’t see any options other than illegality and informality, they have no real alternatives. GM And that’s a process that takes place in the entire country, not just in Medellín. SF Yes, it’s true for all of Colombia, although of course Medellín has its own particular contexts. GM You find girls in the Caribbean in horrible conditions of prostitution, and in Bogotá you have gangs. SF And in Medellín we have a huge explosion in all those areas, but at the same time a wealth and strength that make it unique. We had to insert ourselves into all the city’s spaces by building opportunities—that was the challenge. To take away violence and open more doors. To close some doors you have to open others. Entrance to the library Biblioteca España, Medellín. Designed by Giancarlo Mazzanti. GM We worked on this new model of a city with the people and with community leaders, in the realms of art and architecture. Our process is reflected in the way people have accepted the policies and buildings that transformed Medellín. SF That’s where I’m headed. We knew the needs of all the city’s spaces because we practiced politics on our feet. I myself walked Medellín from side to side geographically; it wasn’t like I arrived in an armored car and got out on a certain block to look around. Our way of doing politics was precisely to enter into direct contact with people and their communities in all their spaces. That is very powerful; I had the city under my skin, in my heart, and in my mind. The same with the country. You have to have it under your skin to feel it, see it, touch it. In your heart, to love it; and in your mind, to understand it. Our challenge was in determining how we were going to intervene. There had to be a rupture from an established culture, a way of life that is often painful and framed by violence. GM I like your use of the word “rupture;” we as architects also construct ruptures. SF And that’s where architecture comes in; the concept was “the most beautiful for the most humble.” It implied a rupture from the idea that anything you give to the poor is a plus. We proposed that the best of society was where the greatest needs existed. The poor are habitually given crumbs, but our proposal was to give them the very best. We had to break away and show another way. We knew that fear encapsulates, fear isolates; fear and violence destroy all social capital. GM You know, what we’re talking about is one of my great passions. It has a lot to do with the discourse that many of us young architects have—okay, maybe we’re not so young! Architecture in this country is based on fear: “Careful, don’t propose. Careful, you can’t do that because it’s not right.” If education revolves around fear, we train fearful, unimaginative people incapable of generating something new. The only way to get change is to construct ruptures. I remember very well when you came to my office. I was extremely excited because the mayor was coming, but you came in very worried, specifically about the architecture we were planning in the municipality and in Santo Domingo because it broke significantly with classic molds. I remember very well that you said, “I want a symbol,” and I told you, “If you want a symbol, you have to assume the risk.” And the risk was producing a kind of architecture that was not made in the way that public architecture we’re accustomed to making had been done. SF And the symbol was that we had to show people there was another path. Architecture fits perfectly with all this, because it allows us to break from the tradition of giving crumbs by demanding the most beautiful constructions, from an aesthetic perspective, for the most needy. GM Up to then I had never realized that that discourse was so closely linked to the position of an important generation of architects in Medellín—like Cacho, and the Restrepos. That was marvelous. SF There is a coincidence behind all of this, right? I’m the son of an architect; I was the eldest and the closest to my father. I saw the places where he worked and I understood what he was doing—it was a way of looking at the world. My father in particular was a person who had a lot to do with architectural sites in Medellín. He took part in the construction of the Universidad de Antioquia, which was such an important public symbol for the city. From the time I was a child, it was clear to me what aesthetics meant as a tool for social transformation, as a message of inclusion. That is something that is often misunderstood here. Underneath it all is the most important word in all of those urban interventions in which architecture plays an important role: dignity. GM The role that architecture has played in all of that is understood. In-progress view of the 2010 South American Games Coliseums. Designed by Giancarlo Mazzanti. SF What public spaces were we thinking about? Parks and libraries, schools, cultural centers, the science park, the botanical garden, centers for reading and music. All this revolved around the tangible thing, which was education understood in a broad sense. What we’ve done is build new symbols, new spaces where social mobilization can take place around architecture as a powerful social expression. People are always saying, “That’s just cement.” That’s simply not true! GM And it’s not just doing all of that that is important, but how it is done from an aesthetic perspective—what is that architecture like? I think it took an open administration to allow for projects like the schools, the Orquideorama in the Botanical Garden. What I’m passionate about, and the heart of what I try to do, is to adapt architecture to make it capable of changing behavior and transforming the ways it is used. When we talk about education, the problem is not just in how you construct educational spaces, where a class takes place, but how the space itself can be pedagogical. For instance, the ground of a playground in a school can be morphed into dunes so that children may play with soft and hard materials and learn to differentiate them. This new discourse gained traction thanks to the opportunity your tenure as mayor of Medellín gave us to build a new city. It isn’t just tied to how architecture is made but also to where it is placed. The value of positioning is extremely significant. You were very intelligent in placing these buildings in the barrios where they were most needed, but also where they’d be visible enough for people to feel they were part of the community. SF We knew where the people’s needs were. That was all researched: where it should end up, what the surroundings were like, what the conditions were. It wasn’t an arbitrary intervention, but rather a social intervention. GM Architecture only makes sense to the extent that it is capable of producing well-being, whether it is environmental or social. If not, it has no meaning, it becomes a game of egos, shapes, and buildings. SF The first step toward quality is the dignity of the space, its way of showing another path. SF And it’s become a tourist attraction. I remember when they told us that to reverse the negative image of Medellín in the press we had to get international consultants to change our image. It was always very clear to me that the problem in Medellín was not branding—we didn’t need to come up with a style campaign: “Medellín, life-shaking natural beauty.” Our trademark is the transformation of the conditions we had and showing that you can take a chance, that we’re capable of doing it, building it, and turning it over, and reaching out to an entire society to build hope. GM It’s incredible how this city has been transformed. SF That’s true, and it’s going to last many more centuries. That’s why when they ask what we’ve done, I respond that we’ve changed the lives of many people; I have absolutely no doubt of that. Some people complain that violence has increased. Well, like I’ve already said, we have painful social inequalities and deep-rooted violence here. I wish it weren’t that way. There is an open doorway to the world of conflict, and the only way to close it is to open others. That was what we did, not making those who were at war leave warfare behind, but striving to make it so that fewer and fewer people would enter into it over time. We made it so that everything taking place in the Parque Biblioteca (Library Park) didn’t have to end up being criminal. Those places we built are public and they are the pride of the citizens and communities. Exterior view of the Biblioteca España, Medellín. GM The level of vandalism on the public works you’ve done in Medellín is very low compared with what I’ve seen in other cities in this country. I just do public work; to me, private work seems highly defined by greed. It doesn’t promote social well-being, which says a lot about a place like the US, where public architecture of note is sparse compared to the size of the country. Anyway, the deterioration of public buildings in other cities is much greater, although one of the things I’ve learned is that when you give people the best you can give, they take care of it. SF Especially when you include the community in the construction, when they’re part of the social process. If they don’t participate and you make beautiful things in a given place for them, it’s not theirs, they don’t have ownership. That’s how we went about building all those parks—I went to the Parque Biblioteca 700 times before it opened! We would go about taking the community by the hand; the community grew along with the project. On top of all that, there was a new, transparent way of going about public affairs; we didn’t steal a single peso. GM That takes me back to my experience with public works: you often have to fight so that the builder will do things, and seldom do you have the support of a public entity. In the Parque Biblioteca España and the other projects I did in Medellín—the León de Greiff Library and the 2010 South American Games Coliseums—we had the support of the mayor’s office to do things as best we could, even in the midst of great difficulties. Let me ask a question that is very important to me as a staunch defender of architectural competitions. One of the important successes that took place in Medellín was that a great deal of the projects were chosen through public competition, the only truly open and democratic means of allowing new ways of doing architecture to develop. To give the example of the Orquideorama in the Botanical Garden, the orchid display that is a series of hexagons linked organically amongst them and is integrated with the garden’s trees: it is one of the most interesting works of architecture in recent years in Colombia, and was the result of a public competition. SF Can I tell you what it was like? We were told we needed to get an architectural firm—the one that designed the Guggenheim. It was Pilar Velilla who did an extraordinary job defending the idea of competitions, not I. I told her, “Forget about it! There’s plenty of talent here.” Then they held a competition, a competition of ideas. GM The state should support decisions about public art, architecture, graphic and industrial design being made through competition. It’s the only way. Digital rendering of the Biblioteca España, Medellín. SF When I was a teenager there were a lot of works in Colombia made through public competition. Contests undoubtedly awaken a competition that brings about the highest quality, the greatest of human expression. SF We mixed together competitions of all sorts. With the schools, for example, how were they built? I called ten architects recognized in the city for their talent, and asked them if they wanted to participate in the transformation of Medellín. They said, “Yes, we want to participate.” Each one of them would build a school and wouldn’t charge for their work. Since we couldn’t hold ten different competitions for each school, we held a raffle to determine which architect would get each school. That’s how we did it, mixing together different ways of doing things, but always relying on creativity. GM There’s a worldwide passion for parametric studies and I see some big architectural firms doing it: Zaha Hadid’s, for instance. It’s become like a game of allowing the computer programs and all things parametric to make architecture. SF I was never really into it. I believe there are people who know how to create. Math can be a part of the creative process. If you are a creator in your own sphere and math is useful to you, then use it! The question is how to use your tools to produce something. I wouldn’t impose math on anyone for any reason. GM What projects in Medellín do you have on the back burner? What are some you didn’t get to do that you would’ve liked to during your administration? SF There really weren’t any … well, there’s the Metroplus, the mass transit system with the buses integrated into Medellín’s subway system. That’s a big problem—we had a lot of challenges in organizing things. 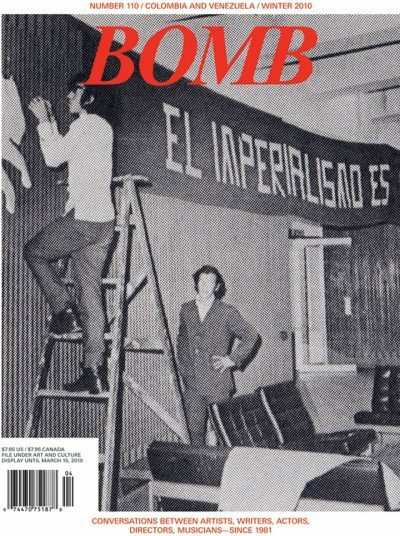 It was the first time an independent civic movement had come to power in Medellín. We defeated the most powerful traditional political machinery of all, right? I had never held public office. We were able to convince people of our significance, but we still didn’t have anything to show. When we came to power we had an obligation to make an urgent transformation to show that everything we’d proposed could be made into reality. This was an enormous challenge for us. GM The incredible thing is that, coming from academia and without any experience in public office, you managed to be very efficient, very decisive about everything. SF That’s a point of pride for us. We had a team with five characteristics: we were all completely honest in the truest sense of the word. Second, we had knowledge and we weren’t making it up. Third, we worked with passion—if it was calculated, we didn’t do it. Fourth, we had a profound social sensitivity. And fifth, we worked with decency. We had some collective challenges, but it was our lives that we were living, so in the midst of all of the difficulties we had, we did something spectacular. That’s why we’re talking here. Interior view of the León de Greiff Library, Medellín. GM I’m very moved by the value of the words in your political discourse and in your discourse of construction. And I’m no longer talking just about architecture, but about how words such as “honesty,” “decency,” and “passion” are capable of making things happen. There is a thinker, Richard Rorty, who writes about how words transfigure and construct new possibilities for thinking about architecture. It would be too much to go into his work, but I’ve discovered that a lot of things begin as political discourse and end up becoming architectural discourse. Terms we’ve been using such as “rupture” and “fear” appear deliberately in political discourse as well as architectural discourse. There are a number of things that architects of our generation have been thinking about and working on that have become tied to political discourse. Perhaps that’s where the strength and success of architecture in Medellín can be found. SF The funny thing about all this is that we aren’t putting in place a particular formula; we’re improvising, creating in a political and a social sense. That’s how it comes along in reality. The key to all of this is that you’ve got to have principles. My leadership as a mathematician doesn’t have to do with sums and things like that; it’s in principle and in the coherence of my principles. A mathematical proof is a series of steps in which each is justified by the previous ones, and where each step can never contradict or violate certain axioms. This guarantees that the solution of an equation will be coherent and correct. GM Two questions: do you think architects should have a political position that translates into their projects? And do you think architects can promote democracy with their work? SF I have no doubt that in order to take part in what we did, we had to take a political stance aligned with our practices. If we didn’t have a political position, then everything that was done would lose its connections to the community, and that’s where architecture and politics come together. GM The conceptual positions of those who took part in Medellín’s architectural projects, the insistence on rupture, the construction of the value of words, inclusion, dignity—those discourses were already in place. The unexpected thing was for them to merge with political discourse. A few final questions that are worth thinking about: when 50% of the city’s dwellings are improvised, what policies should be implemented? What should 21st-century dwellings be like? SF There have been efforts in the realm of socially committed dwellings. They were also paradigmatic, and they were also ruptures. People in those spaces never dreamed of what ended up happening there. GM I think it’s necessary to seek out models that can be repeated, as if they were systems, or elements of systems. If things are built through self-construction, what I need to do is educate people about the ways to organize space in typical urban conditions. There could be a protocol that could be interpreted in different ways and therefore could operate in diverse ways. This would allow us to bring about transformations in the way things are built and be more effective overall, not just in terms of particular projects. What I mean is, how can we affect the way homes are built if 50% of them are improvised? SF All those urban interventions of a community nature are going to have a tremendous impact on any other type of dwelling that is made, since they’re going to revolve around the people that built it. That leaves its mark. GM Yes, because they are projects that are constructed from the finished product, while cities are always built from unfinished products. It’s very interesting; popular dwellings are never finished. SF Any kind of popular living space that is made now in those areas has to take into account what’s already been done. The type of popular dwelling that is created will be determined by what we’ve set into motion. En los últimos años Medellín se ha vuelto visita obligada de los arquitectos que vistan Colombia y América del Sur.